Rachel & Shane Krider’s second episode of their personal development podcast is all about gratitude. 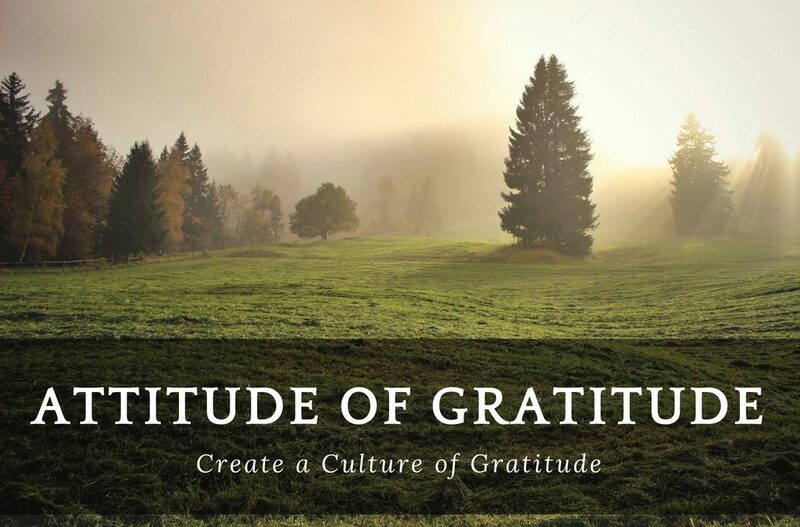 Below is a snippet of the podcast where Shane discusses the second step of creating a culture of gratitude. 2. Be prepared to receive gratitude in return. By just practicing gratitude around people, you start to create a culture of gratitude. Once you start saying “thank you” and “please” and “well done,” guess what, the people around you will start doing it, too. Every time somebody does that, you feel like an unappreciative jerk if you don’t do it back. You can almost force a positive vibe in any group of people just with some gratitude. Some people aren’t going to appreciate or like the gratitude thing but they know they don’t have to play along. But if it’s coming from your heart and it’s authentic, then for the most part it’s gonna be well-received. People used to give me gratitude and I would defend it off. It’s like, I didn’t want it because I didn’t know how to handle it. Some of us have to actually figure out in advance, okay if somebody says “thank you,” I’m going to say “you’re welcome” and that’s it. I’m still pleasantly impressed when somebody pays me a little bit of gratitude, even though I get it all the time. That’s the benefit. It’s easy for me to have gratitude for other people’s gratitude. It’s easy for me to have a lot of ongoing gratitude for other people’s gratitudes. I didn’t get much of it at a young age so it’s still such a foreign thing to me. Although, I should be grateful that I didn’t get at a young age because it just means so much to me every day now.